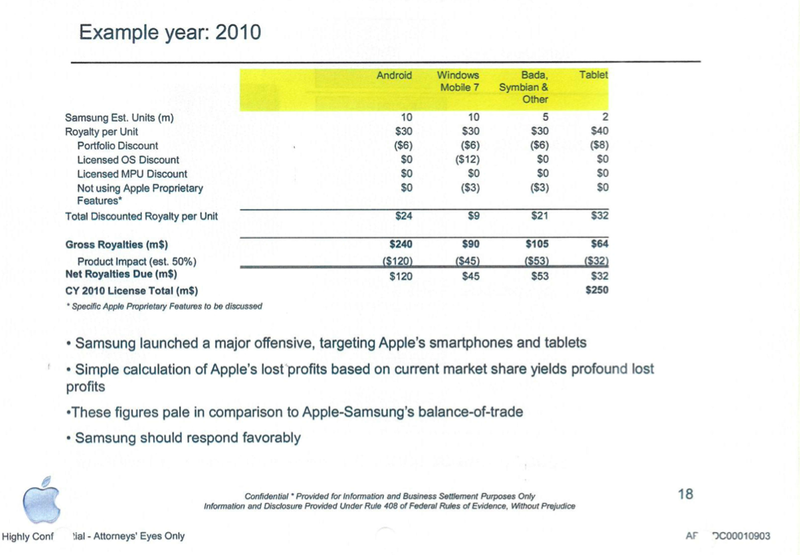 New court documents in the Apple v. Samsung adventure have revealed that Apple felt its intellectual property was worth a $30 cut of Samsung’s smartphones and a $40 share of its tablets, AllThingsD has discovered. 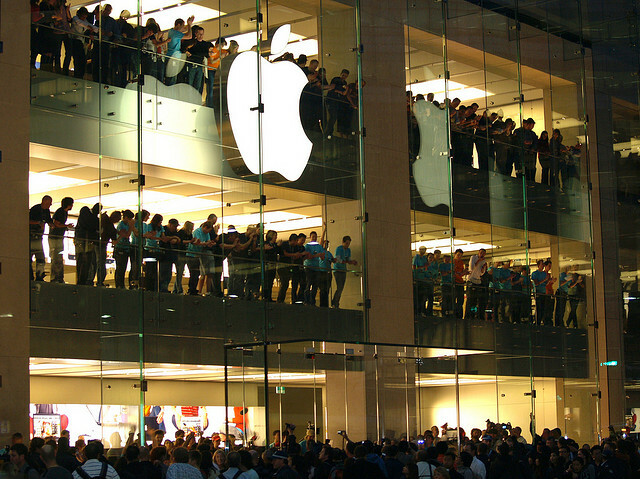 Apple, which made the offer in October 2010, was willing to give a 20 percent discount in exchange for a cross-license with its rivals. The company’s calculations found that Samsung owed roughly $250 million at the time. Also worth noting is the fact that the patent license wasn’t just for Android phones. Apple felt Windows Mobile 7, Bada and Symbian phones also required a $30 royalty, though discounts for those platforms put the total royalty at $9 for Windows Mobile and $21 for the rest. Non-Android devices would have received a $3 discount for “not using Apple proprietary features,” according to the document. The two smartphone giants just wrapped up the second week of what has been described by some as “the patent trial of the century.” This week saw the release of previously confidential data, such as Samsung’s US sale figures for all its accused products, including the Galaxy Tab, from June 2010 to June 2012. Apple has asked for up to $2.88 billion in damages for Samsung’s alleged infringement.